IGOO have designed the exterior signage for Accessories Online, a gorgeous boutique which sells a wide range of designer jewellery. They recently moved into their larger premises ‘The Well Barn,’ which is located on Little Crosby Road in Liverpool. 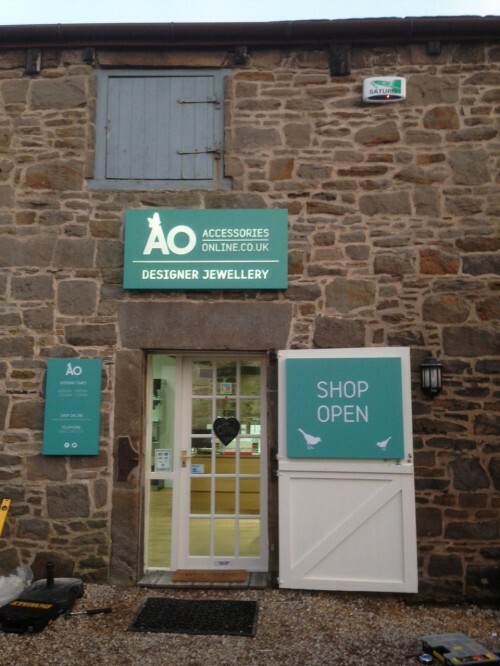 Featuring the igoo designed Accessories Online logo and with full contact details and opening times of the shop, the signs reflect the brand image perfectly.